Facebook today being a very power-packed tool for effective interaction, communication and consultations which can be done at the shortest time possible, the popularity of the medium has increased enormously. Today it is possible to upload a video on Facebook to share it with others and also get to know through their comments and responses what they think about the video. 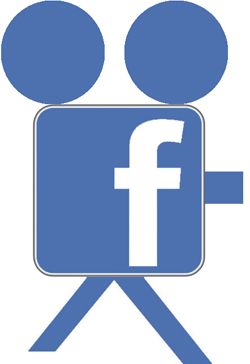 .mov – this format can be used to save your movies and your video files on Facebook. Compatible with the Windows as well as the Mac system the format is very convenient to upload and replay. .avi Or Audio Video Interleave is another format that is supported by Facebook and is compatible with Window OS in any computer. This is also a highly preferred format by the Facebook community. .mpg : The format of .mpg can be used on Microsoft Windows media player as well as Apples’s Quick Time Player and is compatible to both operating systems. The format of .mpg is well accepted by Facebook. .mp4 – The most preferred format is the Mp4 as it allows the uploading and storing of data both audio and video at the same time. It can be done together in a single file making it easy and time saving. One of the biggest benefits of the format is that it is easy to edit whenever required. Solutions: Video Converter is one of the best tools to convert one format to the other. In case you find a format of a video is incompatible with Facebook, you can easily convert it into a more compatible format by using it. The maximum size a video supported by Facebook is 1G. But in most cases Videos are usually large files that consume a lot of storage space. Though Facebook offers a time limit maximum of 20 minutes, there is still a problem faced by many on Facebook when it comes to uploading videos. Solution:Firstly check a couple of times if the maximum upload size of the video file is within the limits of 1G specified by Facebook. Secondly with the use of the video compressor you can compress the video file to suit the specified size. This is an important aspect to consider when uploading video files on Facebook. The maximum length of the video allowed on Facebook is that of 20 minutes so you need to check out its length first before uploading. Solution: Using a video editor to generate the right size of the video is a perfect solution to upload videos on Facebook that is as per its stipulations. By using the video editor, the video clip can be cut to its desired length without affecting the quality of the video. After learning the 4 tips explained as above, uploading Facebook video would be just a piece of cake, right? You can also share your own tips about Facebook videos if you got anything in mind. And you can also check more Facebook video uploading tips here. If the you want to save Facebook videos that were uploaded by others, you may take a look at how to save Facebook videos to iPhone. We will give you three solutions to save videos from Facebook to iPad or iPhone step by step.